Every time I log onto Instagram, I’m bombarded with new follows from photographers desperately trying to grow their IG following by playing the “follow/unfollow” game. If you’re not familiar, count your blessings. 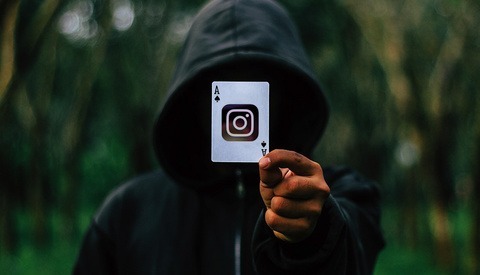 The strategy of following someone, then unfollowing them a short time later has, unfortunately, been successful for anyone trying to rapidly grow their Instagram audience while keeping their own follow numbers down. This allows photographers to seem more popular or successful than they actually are. But it leaves me to wonder, what is their endgame, and what do they hope to achieve with all those empty follows they’re getting? Likewise, I know many photographers who’ve bought follows and likes to bolster their own numbers. It may seem gratifying in the moment, but in the long-run, it does nothing for a successful photography business other than setting the photographer up for future failure in the way of setting improper expectations with clients. As I peruse Instagram these days, I can’t help but question what photographers are hoping to get out of these futile tactics. Stable businesses aren’t built on an empty foundation, they’re built upon fundamental business values and strategic branding. So, why aren’t photographers treating their Instagram profiles accordingly? 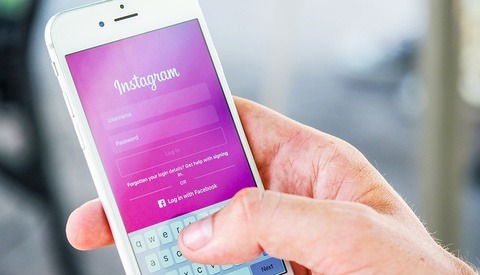 There is no doubt that Instagram is a powerful tool for anyone trying to utilize free marketing, but if misused, Instagram will do you no favors. How many likes or follows you get on Instagram doesn't matter unless you have a clear end goal in mind for the social platform and what you hope to achieve with it. Image provided by Pixabay.com via Pexels, used under Creative Commons. 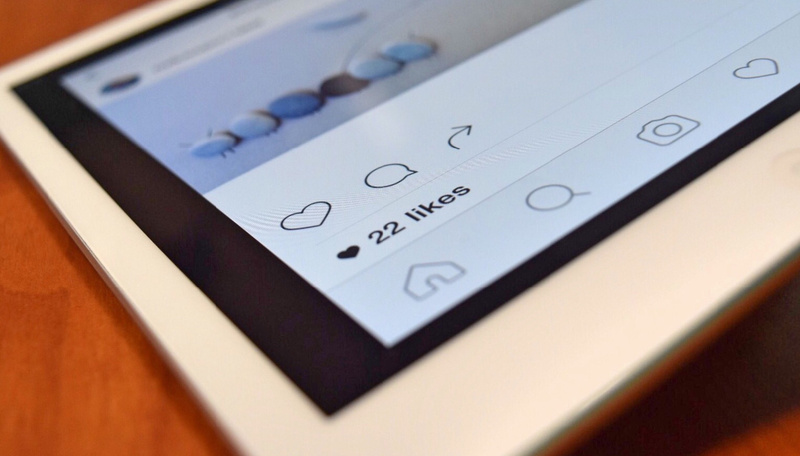 If you know what you’d like to achieve with Instagram, then you’ll be able to cultivate an Instagram marketing plan that can yield actual results, rather than hoping follower numbers will one day impress someone. And it just so happens that the new year is about to be upon us, and the start of a new year is the perfect time to start strategically planning for a successful year for your photography business, so let’s talk about how to make an Instagram marketing plan that works for you. - You can use Instagram as a platform for showcasing a current portfolio on a regular basis. 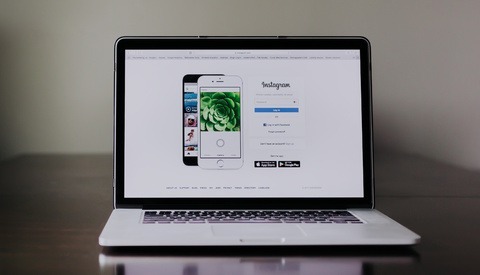 Most website portfolios aren’t updated regularly, but with Instagram, you’re able to show potential clients your most recent work on a daily basis. This is great, because it shows your client pool that you are busy churning out new work. - You can use Instagram as a way to strengthen your relationship with past, current, and future clients. One of the downsides to owning a small business is that photographers don’t have the luxury of having already established trust with clients like a big corporation that a notable brand has. Being able to build a relationship with clients is invaluable for creating that necessary trust that will propel people to hire you. You can do this by posting personal content to your Instagram (that is still on brand with your business) so that people feel that they’re familiar with you. Remember, clients want to know the person behind the camera before they hire you to take their photos. 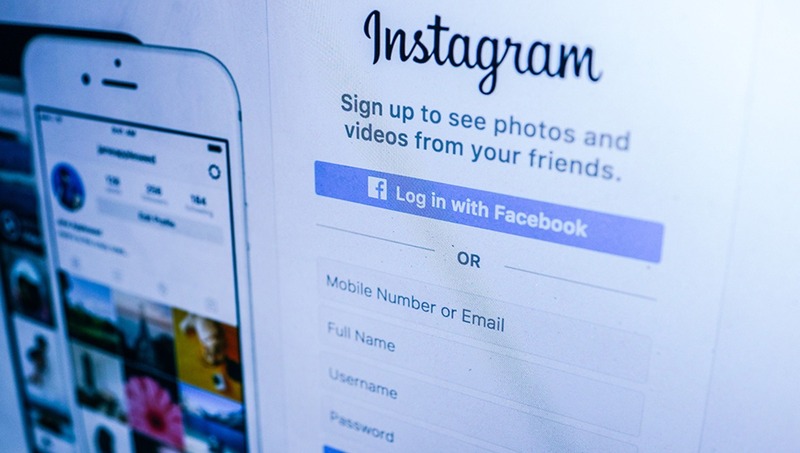 Try downloading a content planner for your Instagram. This will help you map out a plan and keep you on task to achieving what you’d like with Instagram. So often, Instagram gets a bad rap. It’s because people don’t understand how powerful and useful it can be, and people often abuse it. But if you look at Instagram for the potential it offers, you’ll see that it can be just the tool you need to achieve your goals in the new year. Lead Image by fancycrave.com via Pexels, used under Creative Commons. Properly utilize Instagram by holding your finger over the icon until the x delete pops up, click x. What you've said is actually also a really good guide for facebook as well as instagram, but first I would suggest going to settings, and deleting the account entirely first. I am brand new to Instagram, and I am glad that you wrote this article. I just started posting to Instagram last week. Since then, I have spent a lot of time on the site, trying to get to know other photographers, and trying to get other photographers to know me. What I hope to get out of Instagram may be different than the things you discussed in your article. As a photographer, I don't really have a set, definable product or service that I am trying to market. I am just trying to get to know outdoor professionals that work with nature and wildlife, in the hopes that someday somebody will think of me when they need someone to partner with for some big photo trip. Or, better yet, that they will think of me as someone who might be willing to do some research (field work), and then I could hopefully earn a few hundred bucks taking notes and collecting data on the animals that I photograph. Still better would be if some editor or publisher would see my photos and then send me a message, asking if I have other photos that may fit their needs, and possibly this could lead to small licensing sales here and there. There is also the hope that someone who needs a photographer to go do an assignment might see my work and think, "hey, this guy Tom, his work leads me to believe that he may be able to do this assignment the way we want it done." And then they could message me and ask if I would be willing to take an assignment, and hopefully I could earn a few hundred bucks out of it. So you see, I think that Instagram could lead to many future possibilities to earn a little here and a little there, because it would help professionals in the wildlife and nature fields to become aware of me and my work and my possible capabilities. Like I said, I just started this whole Instagram thing last week. I am spending quite a bit of time on it, but it is easy to spend time on, and doesn't really take any effort or discipline because I just get "sucked in" to it. I am best doing things that I just get sucked into, and that don't require much discipline or focused concentration, because my attention span and work ethic are marginal - so that is one big reason why I think Instagram may help me. Anyway, I would be interested in what you think about my situation and my hopes with Instagram. My account is tom_reichner if you have any interest in seeing what I've put up there thus far. Thanks again for the insightful article - I sure did glean knowledge from it! My follower number fluctuates a lot due to the people who follow and then unfollow. When someone follows me, I check out their feed. If it's something I like, I follow. If I don't like it I don't follow. Right now the number of followers I have is tiny; less than 150. But they are true followers. Even with just this tiny amount of followers I've had a number of people reach out to me and set up shoots. Some paid, some not. It depends. The number of paid ones are more than worth it. They way that the reach out to me is generally along the lines of, "Hey, I like that such and such photo of your, I would love to set something up with you along those lines..."
The key is to let people know to DM you if they are interested. If they like your work, they'll come. One thing that's different, though, between you and me is that I specialize mainly in portrait photography. Instagram has no shortage of self absorbed people that want to have their photograph taken in a style that they seem to like. I appreciate your thoughts and insights, Daniel. I agree with you about wanting "quality" of followers over quantity of followers. That is what I strive for, as well. But I have this strange notion that quantity of followers could help lead me to the few quality people that I seek. I know there are a few people out there in the world of Instagram that could help me, but how to get them to find me and my work is the challenge. I figure that if gazillions of people (within my genre) follow me, then the chances of my work eventually coming across any one person's screen is higher. There are a few "quality" people I've found on Instagram already, and the only way I found them was because other people I know are following them. You see, when I make a meaningful connection with someone on Instagram, I look at the list of all the people they are following, in order to see if there is someone else who shares our same interests. Anyway, just my thoughts. We have yet to see if it all works for me. the question is like, do you really need all those attention?? Rifki, I don't think that people who use Instagram for business purposes are necessarily there for attention. They are there to garner leads for paid work or for licensing sales. This whole article was presented within a business context, not a personal or hobbyist context. People who assume that those who use IG are only doing it for "attention" lack a fundamental understanding of the potential advantages. Nice Post you are totally right, I just block them when I notice that they are follow/unfollow” me but in the last days I dont follow them back. because they just follow me even though they dont like any of my pictures they are very stupid. unfortunately many professionals they are using this stupid game. My IG following is small, but its organic! lol. The ones that aren't organic? They have 25,000 followers and 30 likes! Not really fooling anyone.